Las Palmas, the bustling and cosmopolitan city of Gran Canaria! 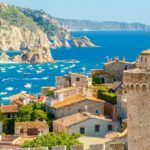 Are you looking for a holiday destination where there is plenty to do? Magnificent monuments, fun activities but also a beautiful beach. 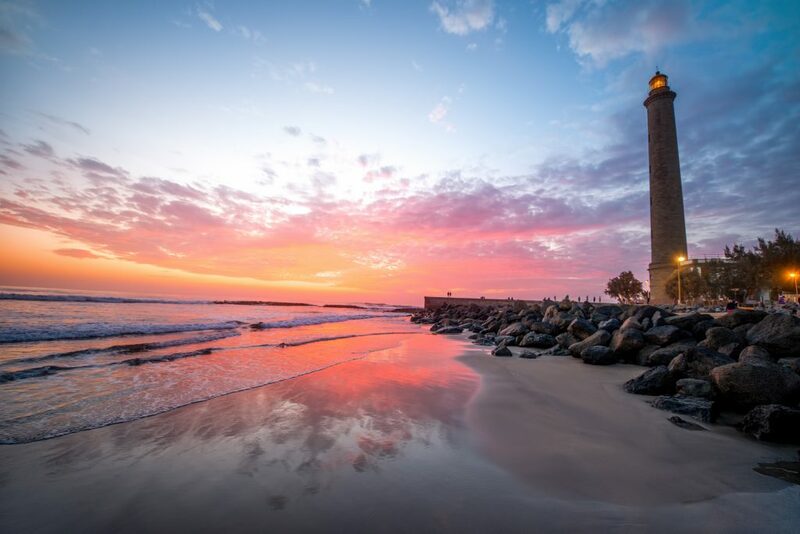 Gran Canaria is the ideal holiday destination! 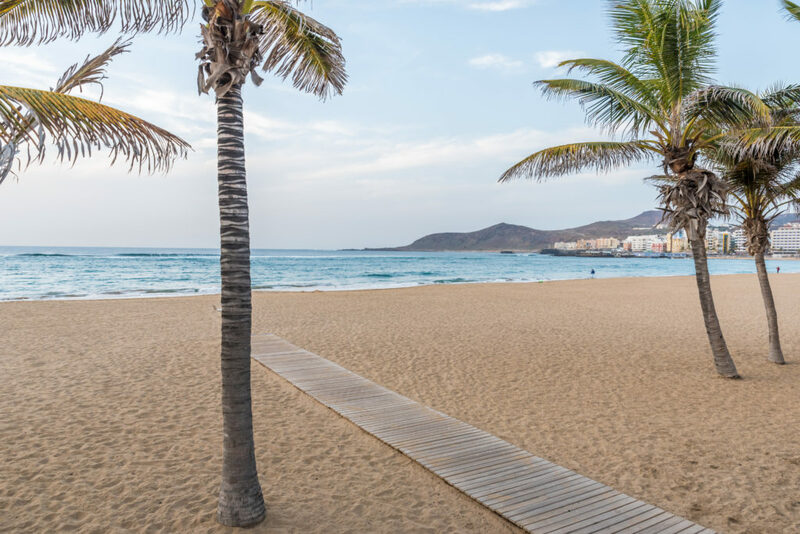 The one thing you definitly don´t want to miss out on during your holiday is a visit to the vibrant and lively city of Las Palmas in Gran Canaria. 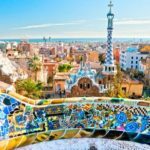 The biggest city on the Island offers you some fantastic sights that are really worth a visit! 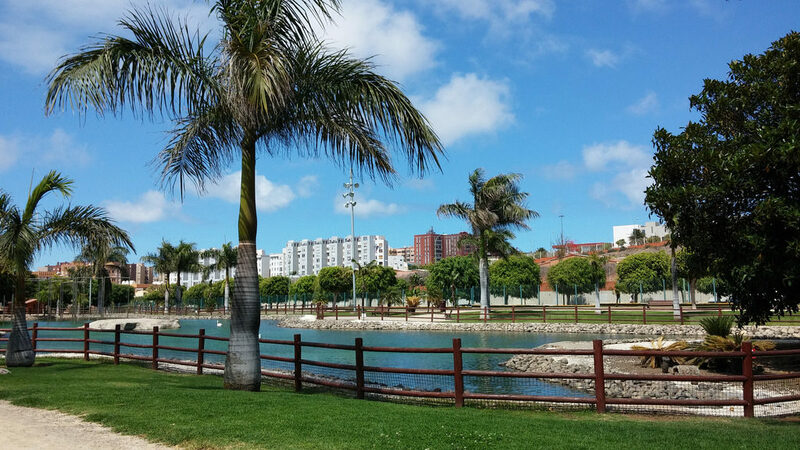 Discover just like many other holidaymakers the amazing and bustling city Las Palmas! Specially for you we have selected the best and most interesting spots in Las Palmas! This is one of the oldest neighbourhoods of Las Palmas and is well worth a visit. The narrow streets of La Vegueta will transport you back to the Middle Ages, because they have been in existence for over 500 years! All kinds of people have passed through them, from pirates to the builders of the Cathedral. Since the time of Christopher Columbus up to the present day there has been a deeply rooted tradition that you should stop at least once in the historic town of La Vegueta. 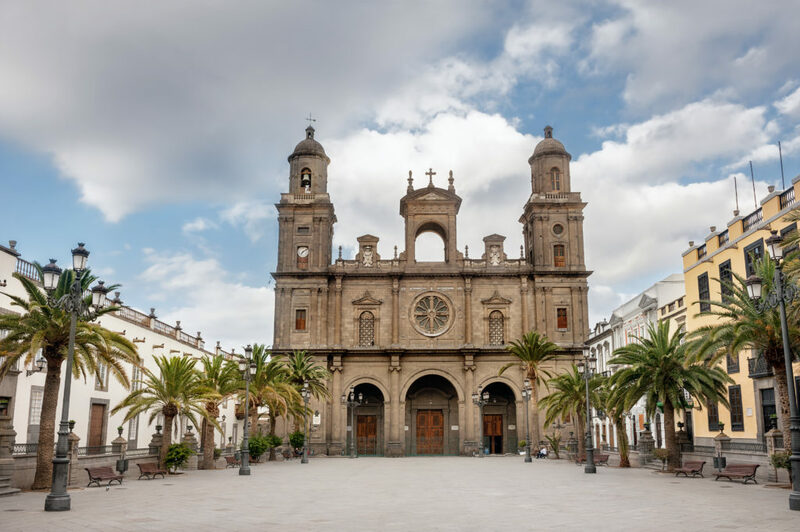 Here you will find the oldest and most important sites of the town of Las Palmas. Remember to take your camera, and you will be able to take some magnificent photos of the famous Cathedral of Santa Ana, the Episcopal Palace and the Town Hall. The Cathedral Square, (the Plaza de Santa Ana) is a charming square where you will find some beautiful buildings and 8 famous bronze statues of dogs. You will certainly see a lot of lovely places in the city but, during the hot season the temperature can rise so much that you may feel the need to cool off. You are in the right place because there is a beach close by. Just 3 kms from Las Palmas, you will find the most popular beach, La Playa de las Canteras, where you can spend a great day out. The townspeople always say that that Las Canteras is one of the best urban beaches in the country. And they are not wrong! Here the weather is good practically every day and you can participate in water sports all year round! But, Las Canteras is also a great marine reserve. Beneath its waters, there are numerous species of fish and its coastline is a heaven for walkers, fishermen and surfers. As you will become aware, this beach is a “must”. La Casa de Colon was rebuilt in 1777, and is one of the most beautiful and attractive buildings in Las Palmas, with its decorated doors, magnificent wrought iron balconies, big patios and ceilings of carved wood, representing numerous examples of the island’s architecture. It is said that in 1492 Christopher Columbus stayed in this palace while one of his ships was undergoing repairs. Since 1952 this magnificent building has been home to a museum comprising thirteen permanent exhibition halls, a library and a study centre. In addition, there are many areas reserved for temporary activities, such as conferences, seminars and exhibitions. Cast an eye over the scale models of the ships, amongst which there is a replica of the cabin of La Niña, one of the ships which formed part of Columbus’s fleet. There are also navigation charts, graphs, tableaux, and other works of art. Like La Vegueta, the neighbourhood of Triana is one of the oldest in Las Palmas. The latter has become the main commercial centre of Las Palmas since its main street, Calle Triana, became a pedestrianised zone. Are you ready for a day of shopping? Here you will find a multitude of shops, ranging from the oldest boutiques to branches of the big chain stores and chic modern boutiques. 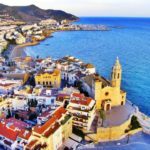 The district of Triana is rather middle class, as the population is mainly composed of local tradesmen, Andalusian, English, Maltese, or Danish who settled here over the centuries. You will come across magnificent historic buildings in the elegant architectural styles of the 18th, 19th and 20th centuries. In addition, the Calle Triana has been classified as a National Historical Monument. It is definitely worth a visit. The town’s main shopping thoroughfare, the Calle Mayor de Triana, crosses the old quarter of Triana and opens out onto the pleasant Parque de San Telmo. So, after doing your shopping along this main street, you will probably be exhausted and ready to rest a while in this park. Settle down on the terrace, have something to drink and enjoy the sun while you watch the world go by. While you are resting, the children can go and play in the boat which you will find there. In addition, there is also an Art Deco café/restaurant and a charming little church, the Church of San Bernardo. Inside there are some wonderful Baroque altars and some mural paints. It is the ideal place to end the day with your family or friends. This is probably one of the most beautiful Botanical Gardens you have ever seen. And what’s more, admission is free! This Las Palmas garden is divided into several gardens and attractions, each dedicated to indigenous species, and all of them offer an excellent introduction to the island’s flora. The garden covers a steeply sloping arid area, and at the bottom is the damp, green gorge of Guiniguada, comprising many different natural environments. You will find varieties of plants that you have never seen before, like the candelabra euphorbia, sempervivum succulents and dragon trees, and there are also palms, pines, laurels and cacti. The cactus garden is a firm favourite with most of the visitors. Wander through the gorge and discover all the subtropical plants and feed the ducks that you will find swimming there. It is the ideal place for a family outing. In the north of the island, some kilometres south of the capital, Las Palmas, you will find El Pico de Bandama, and off to one side of it, La Caldera de Bandama, and old and impressive volcanic crater. The route there is an experience in itself. All the way along the path incredible views open up to you. El Pico (the summit) reaches an altitude of 600 metres and offers a beautiful view over the north east of the island, especially over the capital, Las Palmas. The crater, with a diameter of 1,000 metres, is the biggest on the island and has a depth of 200 metres. Walk over the pathway of stones and lava and enjoy the awe-inspiring view over the crater. Down below you can see the remains of a small farmhouse and some goats walking about. You will notice the silence inside the crater, only broken by the sound of birds and the large lizards there. Note: There is also a restaurant and parking places for cars. If you want to get away from the hustle and bustle, visit this little treasure. Within the busy town of Las Palmas, there is a real oasis called “Ciudad Jardín” (City Garden), whose main attraction is the Parque Doramas. This magnificent park is full of fountains, charming ponds filled with carp and other fish, interesting statues, a municipal swimming pool and numerous types of indigenous flowers and plants. There is also a monument representing the indigenous people (the Guanches), who threw themselves over a precipice to escape capture, and which symbolises the resistance of their Chief, Doramas, after whom the park is named. 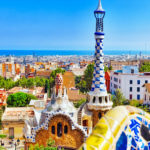 This is a place much enjoyed by families, especially on Sundays when there is a free show, usually of clowns or marionettes, as well as Canarian dances and traditional music. If you go in the evening, you will be able to admire the wonderful illuminated fountains. There is also a pleasant little café on top of the hill, where you can sit in the sun and enjoy the pleasant view over the park. 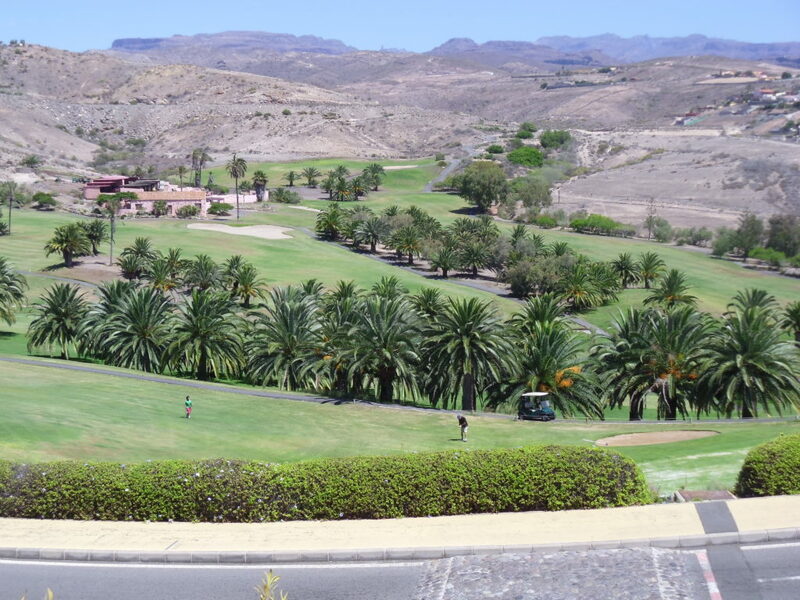 Its ideal climate makes Las Palmas the perfect destination for golfers. The Real Club de Golf de Las Palmas is the oldest golf club in Spain. It was opened on the 17th December 1891, and later, in 1956, it was moved to the Bandama region. Nowadays, situated to the south of Pico de Bandama, this course offers a striking view of the Caldera de Bandama, a spectacular volcanic crater,dating back 14 million years. The course has 18 holes, par 71, and it comprises 2 putting greens, a chipping green, instructors, a pro shop, a club rental service, a restaurant and an excellent wine cellar. And, for those who don’t want to play golf, there are also two tennis courts,a horse riding zone and a swimming pool. If you are interested in archaeology, the Canarian Museum of Las Palmas is the perfect place to visit! The museum was founded in 1879 by a small group of local businessmen and it has the biggest collection of pre-Hispanic Canarian artefacts, dating from 500 years BC up to the 15th century. The museum is composed of 11 halls, where you will find a very eclectic permanent exhibition, with statuettes of gods, jewellery, pottery, tools, mummies, skeletons and numerous other artefacts relating to the everyday life of the Guanches, the original inhabitants of the islands. The presentations include scale models of the dwellings of the Guanches and a replica of the Painted Cave of Gáldar. It is an interesting place to discover the history of Gran Canaria and to get to know all about the aboriginal peoples. Note: Open Monday to Friday from 10am to 8pm and weekends from 10am to 2pm. Think you´ve seen it all?! Nooo of course not! Gran Canaria is a magnificent island with plenty things to do and see!!! 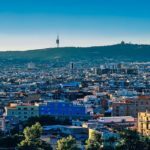 Besides the amazing city of Las Palmas, the island has so much more to offer! So take a rest at your private villa or holiday home of Club Villamar and recharge your battery for the next great experience! 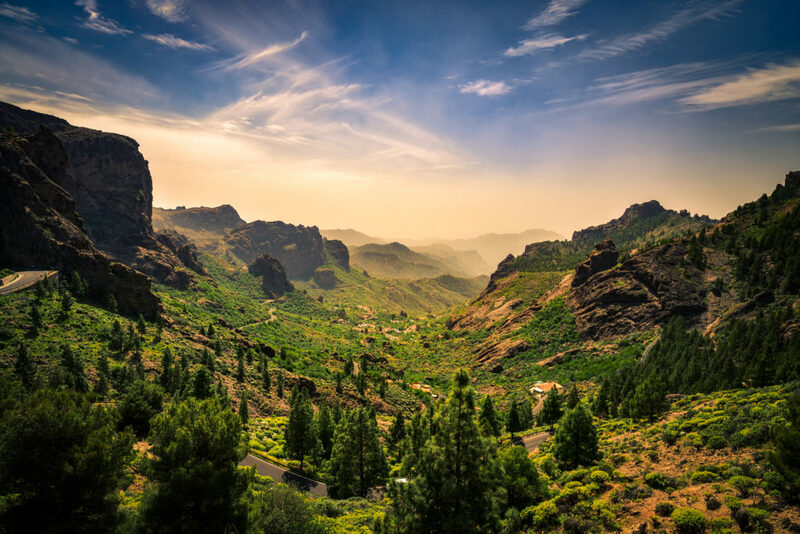 Want to know everything about Gran Canaria?! You can read everything there is to know right here! Or check our fantastic TOP 10 of Gran Canaria.